It's been an interesting first week for the party's new leader, with his party in the midst of a funding crisis and appearing to inch closer and closer to the far-right. A group of far-right French MEPs has reportedly moved to sit with UKIP in the European Parliament, in what is turning out to be an interesting first week for the party’s new leader, Henry Bolton. Former Front National politicians Florian Philippot, Sophie Montel and Mireille d’Ornano apparently left the far-right Europe of Nations and Freedom (ENF) group – half of which is made up of Front National members – today to join UKIP in their Europe of Freedom and Direct Democracy (EFDD) group, demonstrating how at home they feel with the British Eurosceptic party. UKIP has in the past sought to maintain distance from Front National, which it has called prejudiced and anti-semitic. But Front National leader Marine Le Pen has stated on several occasions that she believes the two parties are similar, and share aims. One of UKIP’s new bedfellows, Phillpott, is the former strategic director of Le Pen’s presidential campaign. Although Le Pen has tried to soften Front National’s image in recent years she is still regularly described as a fascist, and the party is dogged by a history of holocaust denial. Le Pen’s father, Jean-Marie, who founded the party, was fined last year for describing Nazi gas chambers a mere ‘detail’ of history. It was the third time he had been prosecuted for a similar offence. With 40 members, the ENF group was already the smallest in the European Parliament. The EFDD – a continuation of the Europe of Freedom and Democracy (EFD) group is larger: a coalition of ten political parties, UKIP making up the largest cohort. But the EFDD may be in trouble, with the Financial Times reporting this week that UKIP and its anti-EU allies have lost access to their biggest source of European campaign funding following a series of scandals over alleged misuse and misappropriation of funds. 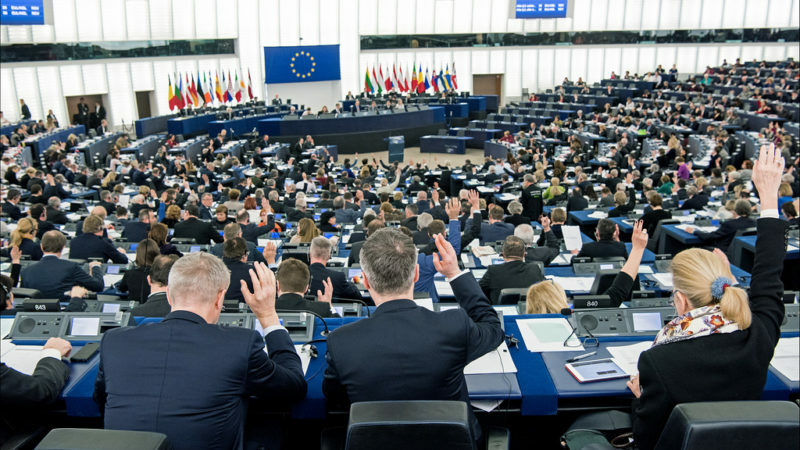 The pan-European Alliance for Direct Democracy in Europe (ADDE), which is made up of EFDD members including UKIP, is now under pressure from Brussels to repay €172,655 allegedly misspent on national electioneering. UKIP and other members of the group have denied any wrongdoing, but whether or not Brussels with exonerate the party remains to be seen. At least Bolton can safely assume his new friends aren’t just in it for the money – they must recognise how much the two parties truly have in common. Inch forward towards the far right these bast*rds are way beyond the far right. So what! Are they relevant anymore? I share Patrick Newman’s implicit contempt for UKIP, but the far right remains relevant: witness the success of AFD in Germany. Extremists prosper when democracy is seen not to work. In Britain we have a government which is moribund, and potentially can remain until 2022. As such it is important that Labour shows its fitness to govern, so providing a legitimate alternative. Absent this, it is not impossible that far right groups will seem attractive to despairing people; even if UKIP is unlikely to be their focal point.